When it comes to long distance walking, Scotland has routes in abundance. Its most notable trails, the West Highland Way and the Southern Upland Way, can be so popular they’re almost congested in good weather. If you want to stretch your legs on a quieter trail, head to the Great Glen Way in the Scottish Highlands instead. At 73 miles long, the Great Glen Way isn’t a gentle afternoon stroll. It runs from the edge of pretty Loch Linnhe to the cosmopolitan city of Inverness at the eastern end. Formed from a series of glens and mountains, the trail cuts an almost straight line through some of the Scottish Highland’s most impressive scenery. 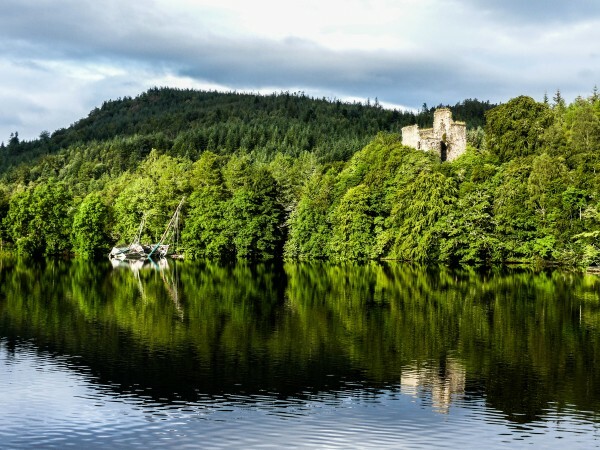 Featured sights along the way include the mysterious waters of Loch Ness, the idyllic village of Fort Augustus and the striking ruins of Urquhart Castle. No trip along this historic natural valley would be complete without a visit to the Falls of Foyer. Hidden on-shore, along the eastern banks of Loch Ness, this towering waterfall plunges over 90ft into the river below and was the inspiration for a poem by one of Scotland’s most famous writers, Robert Burns. The walk to the top of the falls is steep but manageable, and very worth the effort. Urquhart Castle is another stop visitors won’t want to miss. 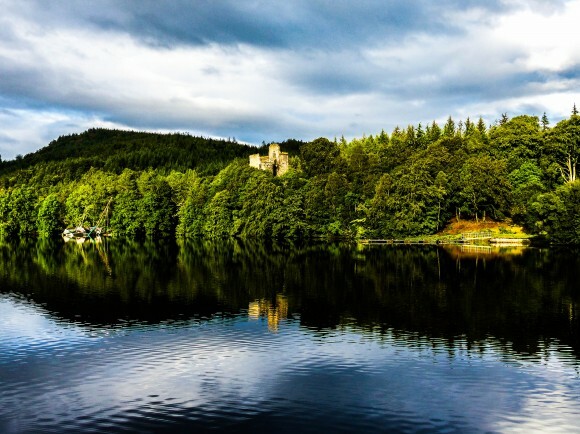 Its famous ruins tower over the edge of Loch Ness, a dominating sight from every angle. The visitor centre on its grounds shows a short film depicting the battle-weary history of the castle, which was ultimately destroyed by retreating soldiers to keep it out of enemy hands. The reconstructed trebuchet by the castle walls is another fascinating feature, and when the weather is good you’ll be treated to the plaintive cry of a lone piper as you pick your way around the crumbled walls. At the other end of the Caledonian Canal, Fort William is a hotbed of interesting activities and tourist attractions. It’s also the location of Ben Nevis, the highest mountain in the UK. Glen Nevis, where you’ll discover another beautiful waterfall, is a popular place for a walk – you might even recognise it from major motion films like Mel Gibson’s Braveheart – and picnics here are a favourite family pastime. To get to the top of a Scottish mountain with minimal effort, the Nevis Range is a five minute drive north. You’ll find a gondola station that runs throughout the year, two cafes, mountain biking trails and scenic viewpoints that overlook the start of the Great Glen Way. Discovering Scotland’s wild places doesn’t have to mean living in a tent or driving for endless hours every day. 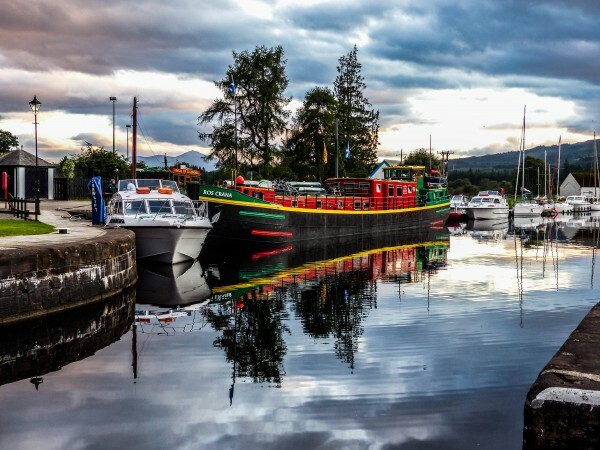 In fact, one of the best ways to experience the beauty of the Great Glen Way is by cruising the length of the Caledonian Canal as it winds its way along the valley floor. 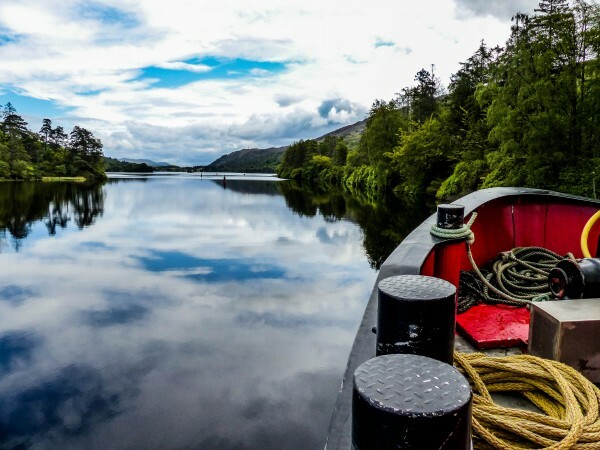 Specialist holiday companies, like Caledonian Discovery, offer all-inclusive barge holidays with activities, gourmet Scottish food and plenty of lively entertainment. With your own en-suite cabins offering exceptional privacy, a bar on board and a resident chef, you’ll have more comforts than you’re used to at home. When the weather is favourable, take the opportunity to learn to sail with experienced instructors, or explore the pretty islands of Loch Oich in open top canoes. Mountain bikes are available for cycling through the surrounding countryside, and you can join in organised treks to local sights including the Well of Heads and Foyers Falls. This gentle pace of travel allows you plenty of time to hop off and on the barge, taking the chance to cycle or walk along the winding forestry paths or relax on the deck and watch the world go by. No need to unpack more than once, and the chance to grab some fabulous photographs of Scotland’s Highland mountain ranges is always there. With several options available to travellers visiting the Great Glen Way, trips can be planned with a great deal of flexibility. Flights from major airports like Stuttgart and Frankfurt arrive in Inverness at one end of the route, just a short taxi ride from the harbour. Travellers with a little more time on their hands might prefer to fly into Glasgow and drive or take the train to Fort William to board a barge there. While it might take a little longer, this route offers the benefit of passing through the Glencoe and Rannoch Moor areas where the scenery is absolutely spectacular. 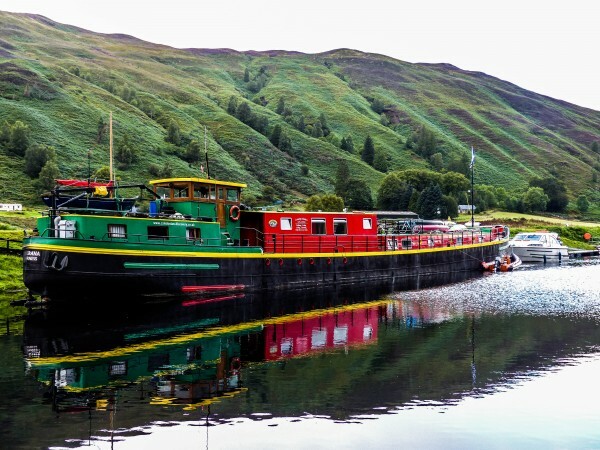 Fiona Galloway is a travel writer who recently enjoyed a one week cruise on one of Caledonian Discovery’s barge holidays. She enjoyed it so much, she hasn’t stopped writing about it since. Originally published in the Kaiserslautern American newspaper on August, 11, 2017. Click the image for a full-size, printable version.